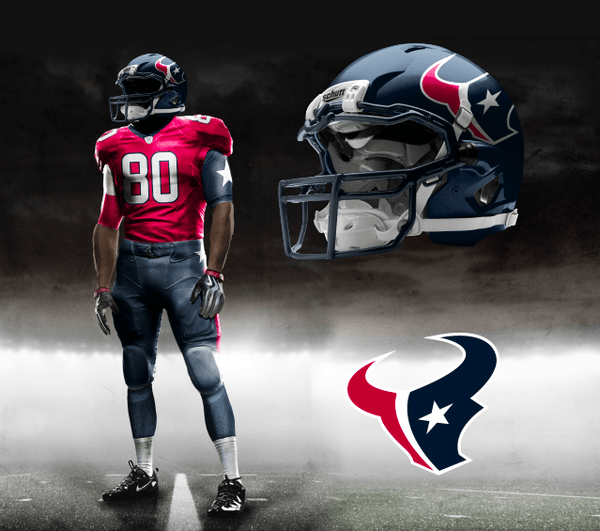 New Season, New Look for the Texans? 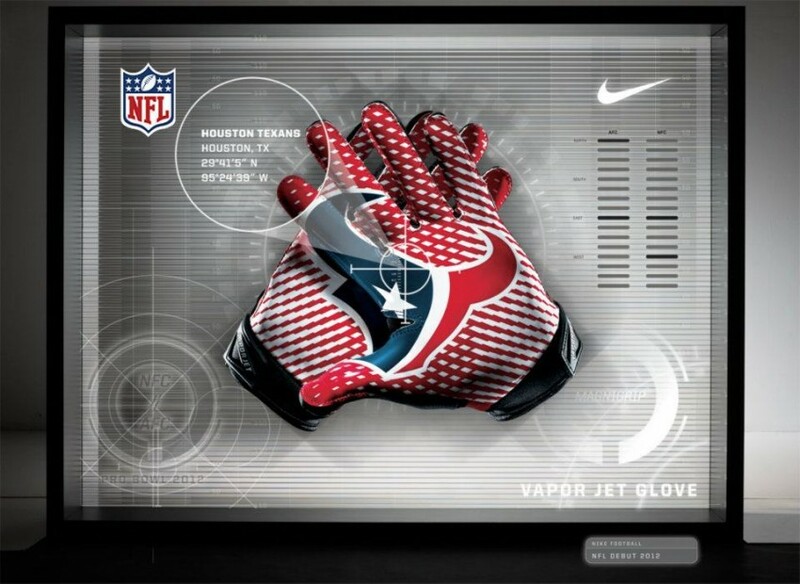 Much hype and speculation has surrounded the NFL since the new Nike Vapor Jet gloves with the team’s logo imprinted on the palms were released. Reebok is now officially retired as the official outfitter for the NFL and I could not be any happier. Reebok unified the manufacturing of the jerseys, and introduced the cute little NFL Equipment shield, but really didn’t do much aesthetics go for the jerseys. Though in football, looks aren’t everything, but as Nike has shown for Oregon, Army, and Oklahoma State, good looking jerseys go a very long way. 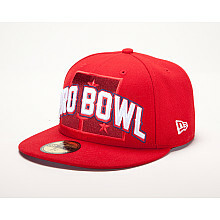 Reebok did do a good job of making amazing Pro Bowl jerseys, but they got stale towards the end, and towards the end of manufacturing the NFL replica and premier jerseys for fans, totally stopped making them, forcing the NFL to manufacture the jerseys themselves and having a shortage in Tim Tebow jerseys after the playoff win over the Steelers. Reebok, who is owned by Adidas, will indeed miss it, but they won’t struggle financially, as they still hold firm onto the outfitting contracts for Major League Soccer, National Hockey League, National Basketball League and its subdivisions, (WNBA and the NBA Development League). 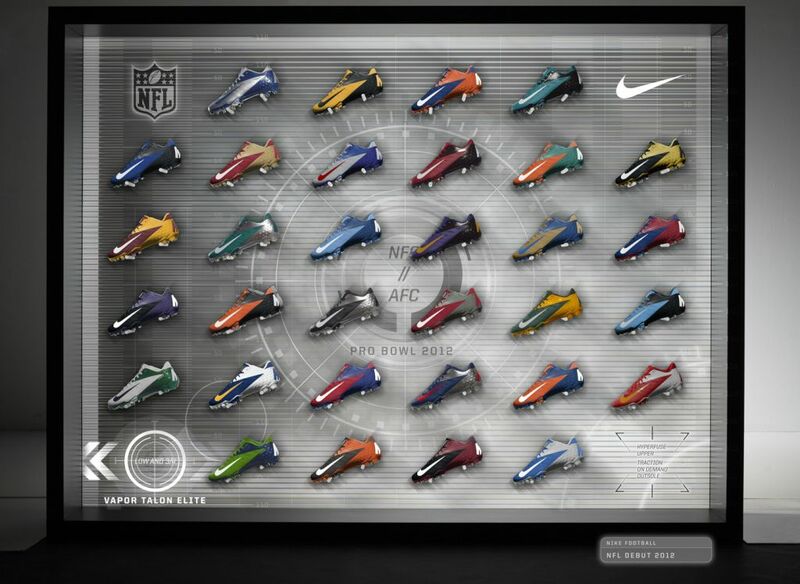 Both the NFL and Nike benefit from the deal that is reportedly supposed to last 5 years, Nike, keeps the deal away from competitors such as Reebok and the upstart Under Armor, and the NFL benefits by having the famed Nike Swoosh on everything from cleats to the gloves on players hands. Older generations of players say that the players today are far too concerned with how the look as opposed to how they play on the field, and the older players could not have been anymore precise. Despite that, the NFL is playing right into the wants and desires of the younger players and audience of the league, getting a world-renowned athletic icon, adored by people young and old. Not only did the NFL improving themselves by adding Nike is the outfitter, but they’ve added another fashion icon, New Era. 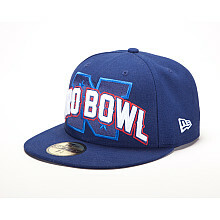 New Era will replace Reebok who, as a the head wear outfitter for the NFL, made cookie cutter type hats for the NFL, the hats were stale and unpopular among youth. With styles that tried too hard to be hip and trendy that failed, most fans felt buyer’s remorse after purchasing a Reebok made hat that was “On-Field Authentic”. New Era is the official head wear maker for Major League Baseball and is an urban icon amongst youths who are dedicated to the brand, the “Originators of The True Fitted” will be bringing their beloved 59Fifty style of caps to the NFL, Getting their foot in the door early before the start of next year already by making the on-field head wear at this years Pro Bowl.